Jesse has been with us for several years and has experience working in several different departments within the fabrication shop. He has proven to be versatile as well as dependable. His vast understanding of the precision sheet metal world has helped Jesse to become an extremely valued addition to our elite estimating team. Brittney supervises our Customer Service Team, so you have probably spoken with her once or twice. She handles many tasks, including but not limited to overseeing the processing of all orders, tracking your jobs, giving updates, and much more. She facilitates a cross functional daily production meeting to be sure all departments are on track with deliveries. Brittney has proven to be an integral part of our company. Prototek just took delivery of our brand new Mazak QUICK TURN NEXUS LATHE in order to provide the best lead times to you, our valued customer! The addition of this new CNC turning center with Multi-Tasking capability brings together advanced technology, productivity and value to deliver exceptional performance. As an (MY) configuration, the machine features milling capability and Y-axis functionality along with a standard through-hole chuck package, and integral turning spindle motor to process a wide range of parts in a single setup. The addition of this new CNC lathe will assist in allowing Prototek to manufacture parts quickly and efficiently! Good News For Prototek Manufacturing, a Certified Woman Owned Small Business!! In FY15, 5.05 percent or $17.8 billion of all federal small business eligible contracting dollars were awarded to WOSBs, the first time this specific benchmark has ever been reached. Since taking over as SBA Administrator, Contreras-Sweet has made it a top priority to increase federal contracting opportunities for Women-Owned Small Businesses. The federal government surpassed its 23 percent small business procurement goal for the third year in a row, awarding an all-time high of 25.75 percent, or $90.7 billion, in federal contracts to small businesses. These contracting funds support more than 537,000 jobs and have a significant impact on job creation, innovation, and growth in communities throughout the country. Federal contract dollars awarded to Service-Disabled Veteran-Owned Small Businesses (SDVOSBs) and Small Disadvantaged Businesses (SDB) also reached historic highs. For the 4th consecutive year, the federal government exceeded the goal for SDVOSBs, achieving 3.93 percent or $13.8 billion of all federal small business eligible contracting dollars. SDBs received 10.06 percent or $35.4 billion of all small business eligible contracting dollars, the highest percentage in history. 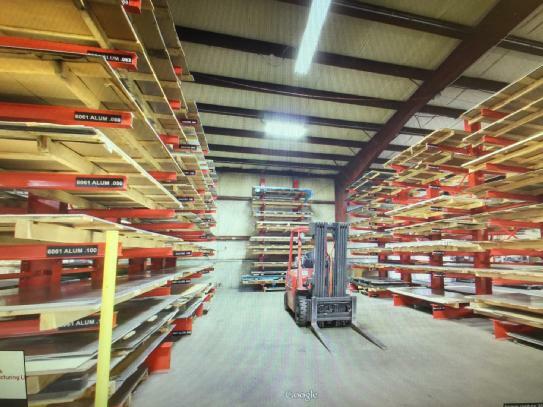 Contoocook, NH – November 12, 2013 – Prototek Global Manufacturing has seen a need for an online quoting system for budgetary purposes. We believe our customers should be allowed to quickly choose a few variables from a drop-down list on our website, and receive an instant, accurate quote, according to their part’s requirements. As the leaders in quick turn precision prototypes, that is exactly what we intend to bring you. Our new proprietary online quoting program, InstaQuote®, will fill the void that companies have inaccurately assumed is inherent in the industry. There will be no more need to wait for a quotation, only to find you could change a design element or two and save on manufacturing time and cost. Upon visiting our InstaQuote® page for the first time, you will request an account, and an email will be sent back to you shortly with your login credentials. Once logged into your account, there will be a quick tutorial on how InstaQuote works, and then you will be able to process as many budgetary InstaQuote®s as you would like, as well as view previous quotations, place an order, or submit payment for a job. Using InstaQuote® is fast and simple. Customers would select their material type and thickness from a drop-down, then how many cutouts, counter sinks, taps, and bends there are, along with a few other variables that may pertain to their job. You may also feel free to go back and change any of your options at any time. After being satisfied with your InstaQuote®, clicking a Submit button would email both parties the end result as well as saving it to your online account. 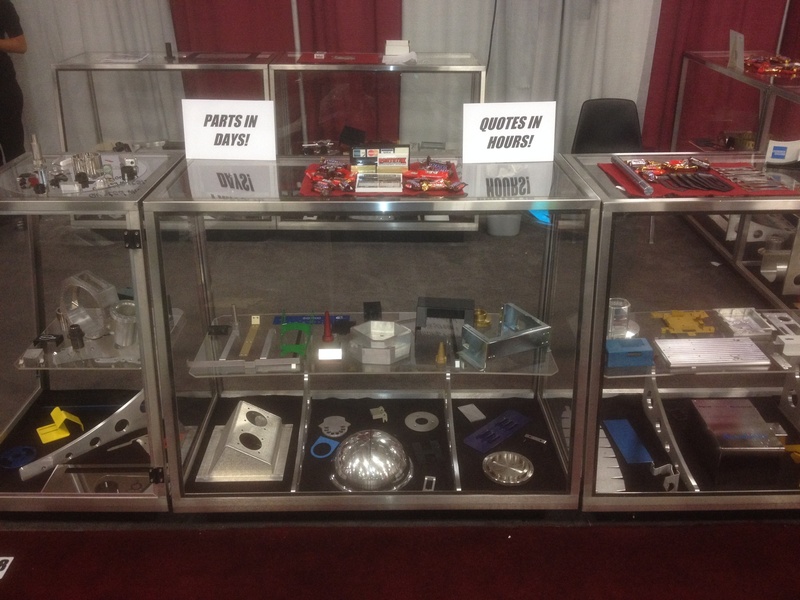 Prototek’s niche has always been quick turn precision sheet metal and CNC machined parts. InstaQuote® is the only program of its kind, and we know this will become the industry standard for prototype budgetary analysis. The Prototek team is very excited to bring to you exactly what you have been waiting for. Prototek Global Manufacturing started in October of 1987 specializing in quick turn precision prototyping and short run production of sheet metal and CNC machined parts for the high tech industries. Their facility is a new 50,000 sq. ft. building, equipped with the highest standards of machinery in the industry to date, and is constantly adding more to their collection, including a full plating, painting, powdercoating, and silkscreen lines in-house. Prototek is ISO 9001:2008 certified, ITAR, DFAR, and RoHS compliant. Prototek Global Manufacturing ships world wide, and can produce most parts in a single day when required. Contoocook, NH – March 14, 2013 -Prototek Global Manufacturing has seen a need for an online quoting system for budgetary purposes. We believe our customers should be allowed to quickly choose a few variables from a drop-down list on our website, and receive an instant, accurate quote, according to their part’s requirements. As the leaders in quick turn precision prototypes, that is exactly what we intend to bring you. The prototype manufacturing industry by large operates on quick turn around times, and is highly dependant upon suppliers that can produce precise, quality parts as quickly as possible. The old way of companies submitting a CAD model to a manufacturer and patiently awaiting a quote to be returned is not only slow. It’s unnecessary. Our new proprietary online quoting program, InstaQuote®, will fill the void that companies have inaccurately assumed is inherent in the industry. There will be no more need to wait for a quotation, only to find you could change a design element or two and save on manufacturing time and cost. Upon visiting our InstaQuote® page for the first time, our customers would initially create an account. Once logged into their account, they will be able to process as many budgetary InstaQuote®s as they would like, as well as view previous quotations, place an order, or submit payment for a job. Using InstaQuote® is fast and simple. Customers would select their material type and thickness from a drop-down, then how many cutouts, counter sinks, taps, and bends there are, along with a few other variables that may pertain to their job. Once complete, they will be given the option to “uncheck” certain processes from your QuoteTree to see how their quote is affected. After being satisfied with their InstaQuote®, clicking a Submit button would email both parties the end result as well as saving it in their account. 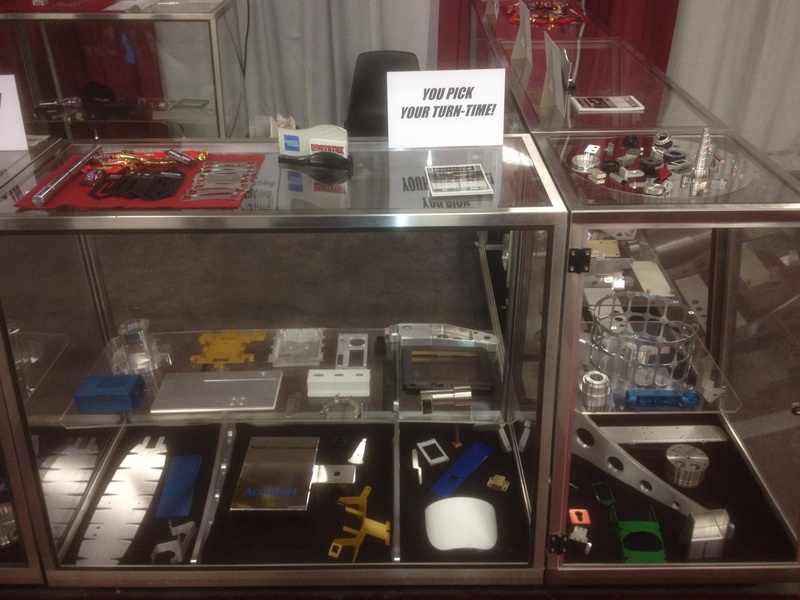 Prototek’s niche has always been quick turn precision sheet metal and CNC machined parts. InstaQuote® is the only program of its kind, and we are working very diligently to bring it into fruition. We know this will become the industry standard for prototype budgetary analysis. Contoocook, NH – March 13, 2013 – Prototek Sheet Metal Fabrication is proud to be reporting another expasion of 3,000 square feet is under way for a new metal anodizing and chromating facility. This new department will not only be state-of-the-art in material plating efficiency; it will also be ACGIH, SMACNA, OSHA, and RoHS compliant and recognized as a Zero-Waste closed-loop treatment center. Once only capable of handling 15% of their plating requirements in-house, Prototek will now be fully equipped to process over 95% of their precision sheet metal and cnc machined parts that require type I and type II anodizing, clear chromate, gold chromate, hardcoat anodize, and passivation on stainless steel, as well as adding zinc chromate and electroless nickel within the next two years. Prototek will be utilizing a closed loop ion exchange wastewater treatment and air pollution system controlled from a batch reactor tank superstructure observation platform. The 500 gallon plating tanks and 1,000 gallon treatment tank will be constructed from all natural polypropylene, and an ozone unit will be installed throughout the system to prevent algae growth and maintain cleanliness around the clock. Ion-exchange bottles will help remove any contaminants from the system, recycling the contents back to high quality deionized reusable water. This fully-certified Zero-Discharge/Zero-Emission plating facility set up is no small project. Everything will be built custom for Prototek’s requirements, from the 65 feet of catwalk dry floor configuration with spill containment flooring to the monorail hoists, boiler, and plating containers. Overall, this will be a 6 month project that will cost around $800,000. Most of the operations will be controlled by automated computer systems will a full alarm system built in. This allows Prototek personnel to focus on what really matters, which is finishing the customers’ parts with the highest level of quality in the shortest time period possible. Prototek always seems to be pushing the possibilities, and this eco-friendly titan of plating lines will allow Prototek to manufacture larger assemblies than ever before in-house. Plating more jobs within their facility translates to faster lead times and higher quality finished products than ever before. What more would you expect from the leaders of precision sheet metal and cnc machined products?